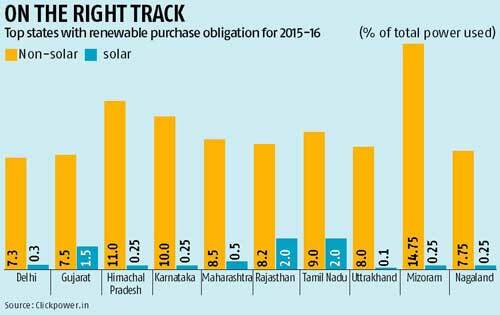 Compulsory purchase of renewable energy got a major boost last week from a Supreme Court order, even though it is likely to increase the power cost for a host of industries dependent on captive power generation and direct purchase of power for their manufacturing units. With the apex court upholding renewable purchase obligation, power purchasers in all states would have to follow the regulatory norms for renewable purchase obligations (RPO). This would also boost the market for renewable energy certificates (RECs), which are traded and bought to meet the RPO. The apex court in the order said regulations framed by electricity regulatory commissions imposing obligation upon captive power plants and open access consumers to purchase electricity from renewable sources cannot, in any manner, be said to be restrictive or violative of the fundamental rights. The court ruling, in a case filed by Hindustan Zinc against the Rajasthan Electricity Regulatory Commission, came on May 13. The court also ruled out the case filed by a number of firms, including DCM Shriram, Binani Cements, JK Lakshmi Cement and UltraTech Cement and has favoured the Rajasthan Electricity Regulatory Commission's decision that compelled these players to procure fixed amounts of energy from renewable sources or entitled to pay money, in case they failed to meet the requirements. 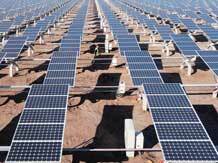 In Rajasthan, captive power producers along with open access consumers who buy power directly from the grid, along with distribution companies, are required to buy 8.2 per cent of their power requirement from renewable sources, besides two per cent from solar. Himachal Pradesh has even higher RPO at 11 per cent and Mizoram at 14.75 per cent. The companies had argued that neither any licence nor any approval from any authority is required to install a captive power plant and therefore, the RERC has no jurisdiction to impose any obligation upon such captive power plant for purchase of renewal energy compulsorily. The renewal energy source and captive generating plants are both alternative sources of energy to be generated, which is the policy that has to be promoted and therefore, one cannot be placed on a higher or lower footing than the other. The RERC by imposing the RE obligation upon CPP to purchase renewal energy compulsorily from renewable source and to pay such charge in case of shortfall to meet out the obligation is contrary to the object and intendment sought to be achieved under the provisions of the Act of 2003 and the same is also opposed to the National Electricity Policy, 2005 and the Tariff Policy, 2006. With the Supreme Court order, however, stay by various high courts might also become redundant. According to Reconnect Energy Solutions, enforcement of RPO regulations has been lax due to various reasons, including the stay granted by various high courts like in the case of Gujarat (recently vacated), Madhya Pradesh and Tamil Nadu, among others. The new order would enable stronger enforcement and provide support to the state electricity regulators to impose RPO regulations more forcefully and effectively. According to Vibhav Nuwal, co-founder and director, REConnect, to fulfil the RPO commitments companies have the option of either generating their own green power, buy it from some other source, or buy RECs. "Enforcement of RPOs has been very weak. Though the value of RECs bought has increased from only Rs 152 crore in 2011-12 to Rs 502 crore in 2014-15, the value of unsold RECs is over Rs 2,300 crore," said Nuwal. Besides, RECs face the problem of expiry of certificates and in some cases, states had to extend the life of the certificates. He said in the short-term there was enough green energy capacity available in the country, though in the long-term, there could be capacity constraints. According to Nuwal, considering that there was 40,000 megawatt of captive power generation in the country and a huge number of open access consumers, the court judgment could give a fillip to the REC market.